Located at the second floor of One Bonifacio High Street Mall (just above the newly opened M Bakery--hello carbs! ), Celebrity Fitness Philippines is now open, ready to become your new fitness playground armed with new equipment and unique group classes (trampoline fitness, anyone?). 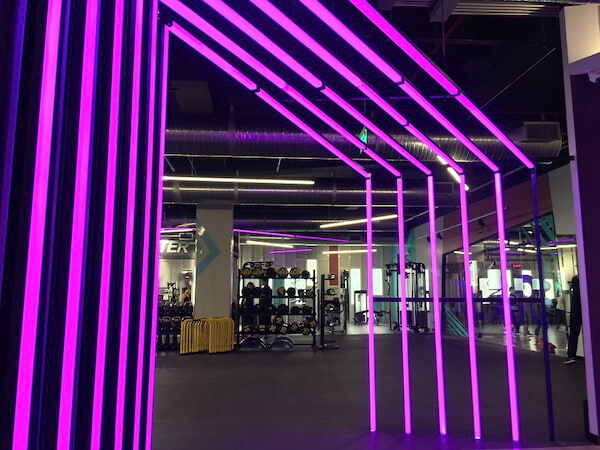 Step inside Celebrity Fitness, and immediately you'll notice that they want to rid of the stuffy and ultra traditional gym and fitness centers -- here, pops of purple and pink dominate along with flashy neon lights to welcome a hip, young crowd wanting to commit to be fit (and be fun). 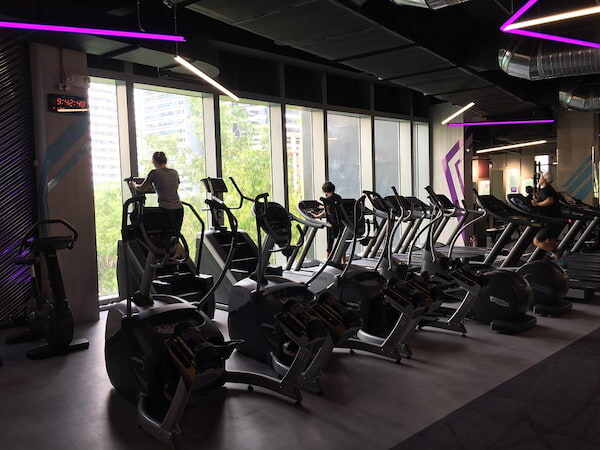 The gym is fully equipped with brand new stuff, from free weights to machines, TRX and rowing machines, and functional gym equipment. 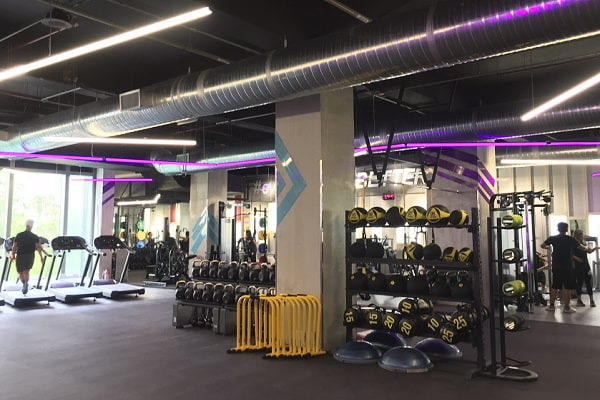 The studio area is where all group fitness classes are held, and workouts here vary from dance (hip hop to Zumba, club music to core burning routines), floating yoga (aerial yoga), functional fitness (circuit based classes) and Saltar -- a trampoline program exclusive to this gym. Aside from all-access to equipment/facilities and group fitness classes, personal training is also available for members. To celebrate their opening in the country, Celebrity Fitness Philippines is offering a special rate for September both for walk-ins and member referrals. 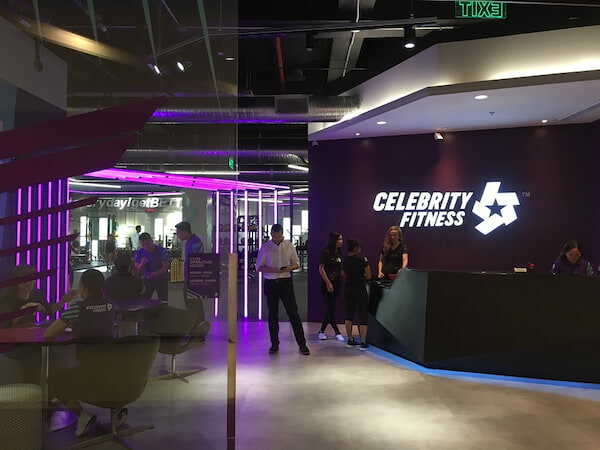 Celebrity Fitness Philippines is now open at the second floor of One Bonifacio High Street Mall (mall entrance is beside M Bakery), and is open Monday to Friday 6am to 11pm, and Saturday to Sunday from 8am to 10pm. 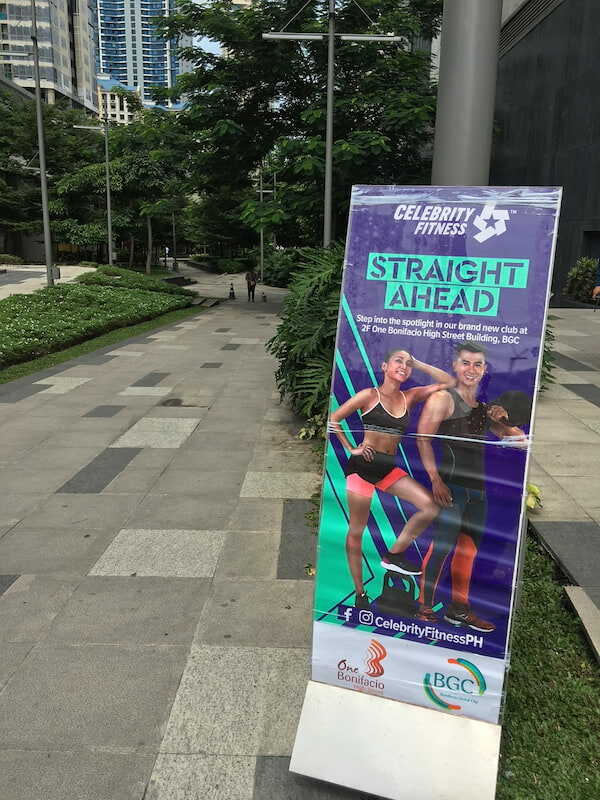 Call +632-744-7917 and visit their website (www.celebrityfitness.com/ph) for membership inquiries, and follow on Instagram (@celebrityfitnessph) and Facebook (/celebrityfitnessph).